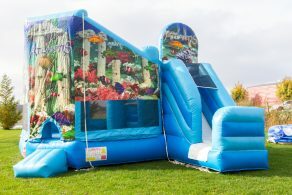 Combo bouncers offer fun for all ages. 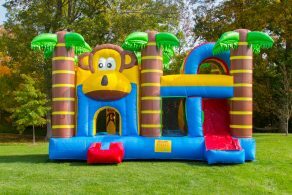 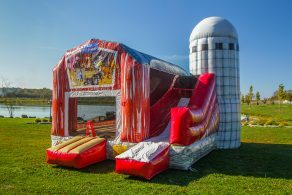 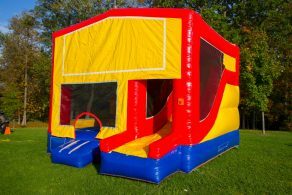 Featuring a large jumping area, slide, and basketball net, the children will sure to be entertained for hours. 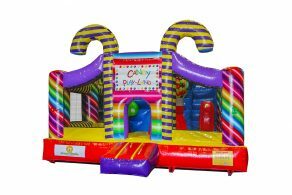 With various themes and sizes available we are sure to have something that everyone will love. 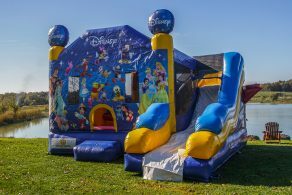 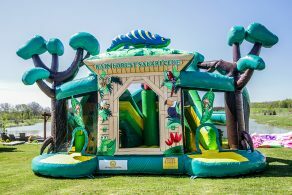 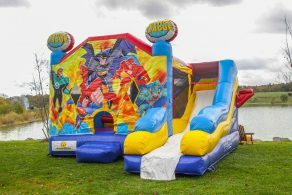 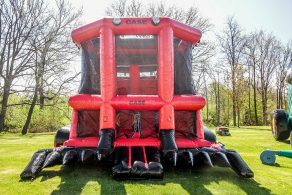 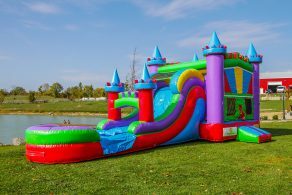 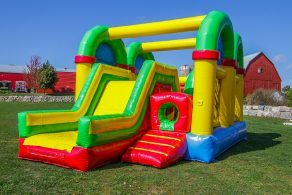 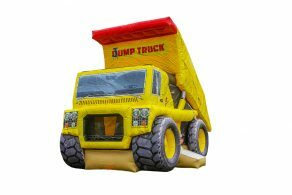 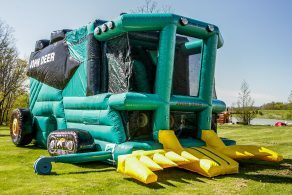 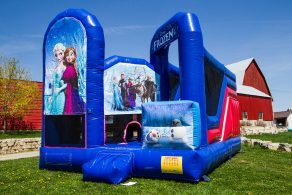 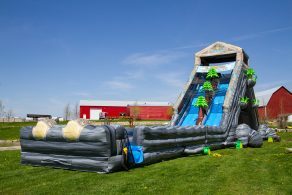 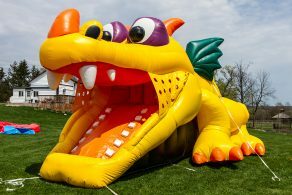 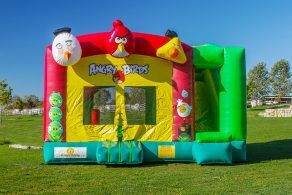 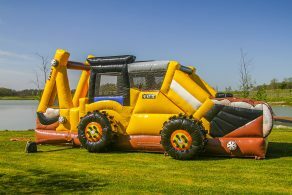 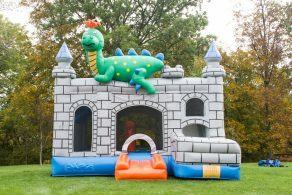 Many of Combo Bouncers are TSSA Licensed, so they are the perfect addition to any public event, festival, corporate party, school fundraiser and more. 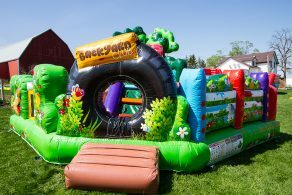 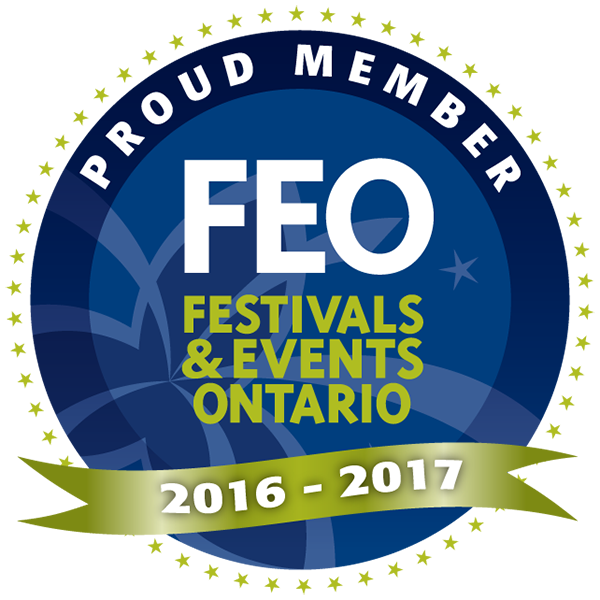 Our affordable pricing and daily rentals is just an added bonus.